Overall sales for vinyl in the UK seem to have reached a plateau, according to end of year figures. The BBC reports that while vinyl sales continue to grow, the annual rate of 1.2% growth represents a plateau when compared to previous explosive statistics. Overall, 4.2 million vinyl albums were sold across 2018 in this country, and while it might not match the percentage growth of previous years, this is nonetheless the biggest net gross in over 25 years. The Top 10 albums sold in the UK also makes for interesting reading - Arctic Monkeys come out top, but only three LPs in the list are actually new releases. 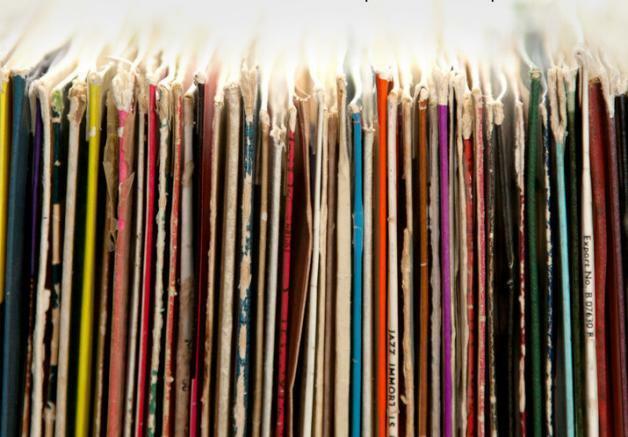 So, is the vinyl bubble about to pop, as some have suggested on social media? No, not quite. The surges recorded in previous years were due to massively increased distribution, a one-off factor prompted by the return of supermarkets - such as Tesco and Sainsburys - to the vinyl marketplace. There's currently no sign of either going away, and with the growing independent sector it means that vinyl is in rude health.